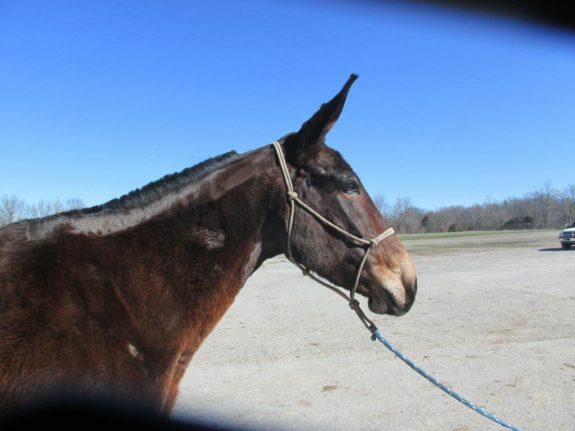 You are here: Home / Sold / Hanna – 7 yr old, 15.2 hand dark brown broke riding molly mule. 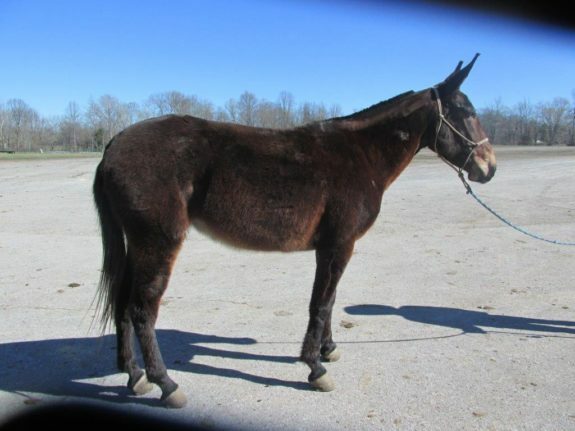 Hanna is a 7 yr old, 15.2 hand dark brown molly mule. Want the best? Here she is…. Hanna is easy to catch, good with her feet. Will ride anywhere you point her, even terrain to scarey to try… She is traffic safe, and handles a group or being alone with ease. She has a nice low head set, and is smooth as silk to sit on. A good one in our book, proud to own her.